Spring is just around the corner and I know we’re all itching to get some Spring cleaning done. But if you’re anything like me, you’ll also get the decorating itch. Yes, that’s right. It’s that time of year where we all purge our homes of all the junk that’s piled up over the Winter, clean and organize closets, and sprucing up your décor with brighter colors. 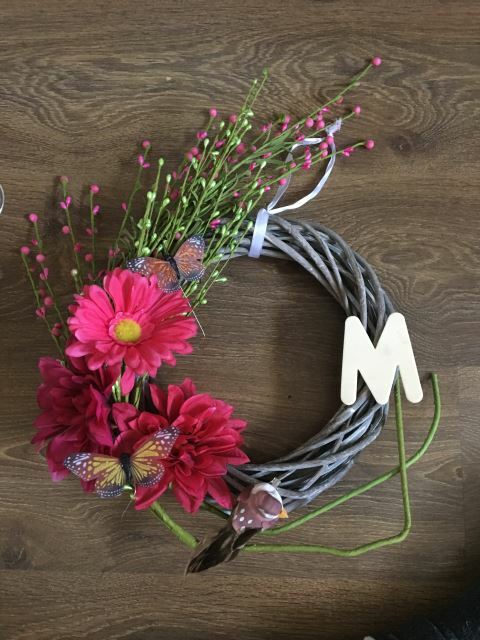 One of the ways you can do this is with a gorgeous Springtime wreath! But don’t run out and spend tons of money on a pre-made one just yet. 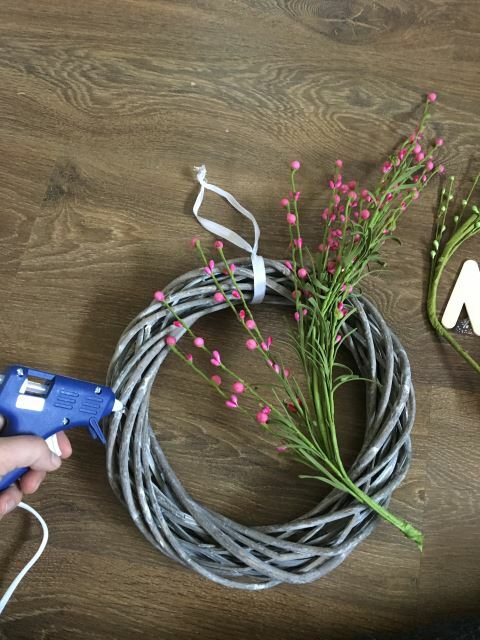 With this easy peasy tutorial, you can create your very own wreath for a fraction of the price. 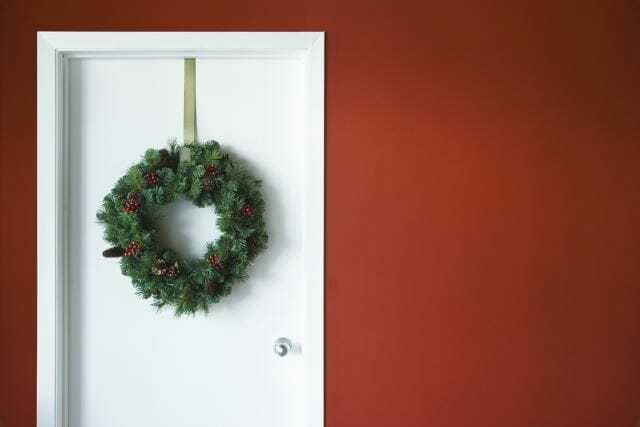 A DIY project like this is the perfect way to create something attractive for your door, but also customize to your personal style and décor. For this, you can choose your size and style. Any Dollar Store or craft store will have oodles of different wreaths made of Styrofoam, twigs, wood, etc. So, pick one that works for you. 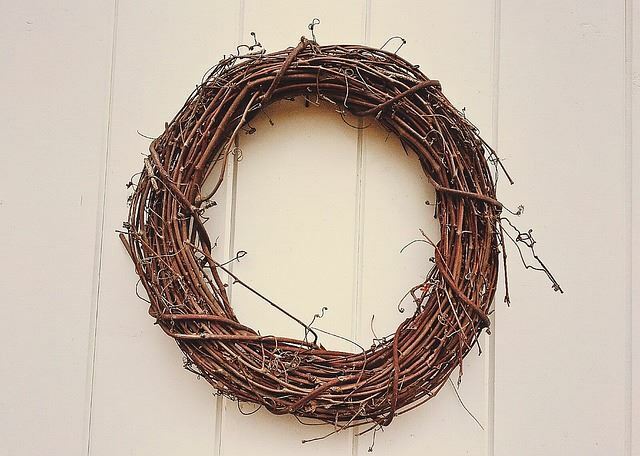 You can even make your own basic wreath! 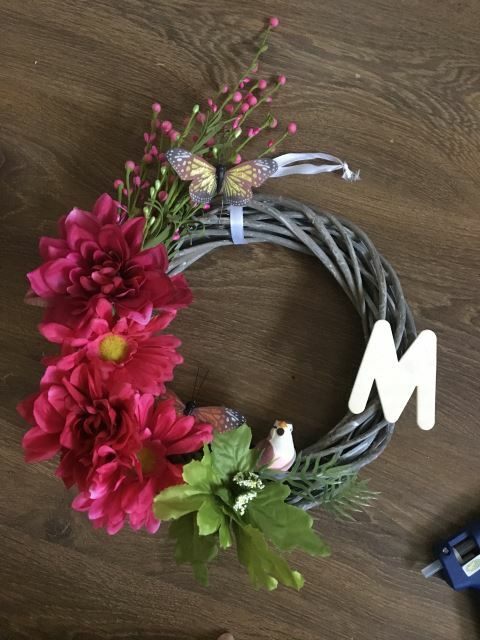 For this tutorial, I got a twig wrapped wreath from the Dollar Store for less than five dollars. You really can’t beat that. I don’t always end up using the wire or string, but it’s great to have to help set some of the larger pieces in place while the glue dries, if need be. Also, if you choose to add some heavy accent items like a bird house or something, the wire is a great permanent solution to attach it. 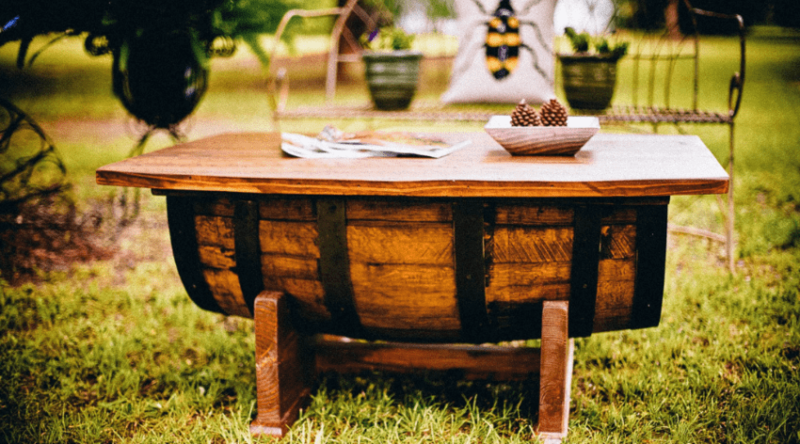 This is a must-have for just about any fun DIY project like this. Hot glue is used to hold everything together. 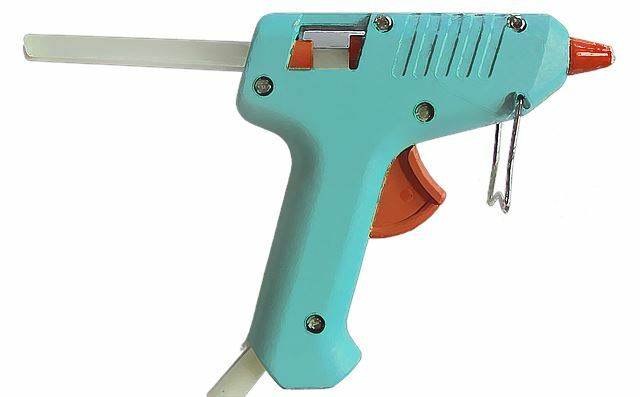 If you don’t have a glue gun, one can be purchased for pretty cheap at the Dollar Store, Walmart, or any craft store. For this you can use just about anything, as long as it’s large enough to act as a base. For example, I use fake ferns, long-stem flowers, and other foliage. This stuff is what’s going to make the visual impact, so don’t be afraid to get creative with color! This is the super fun part! Get crazy! 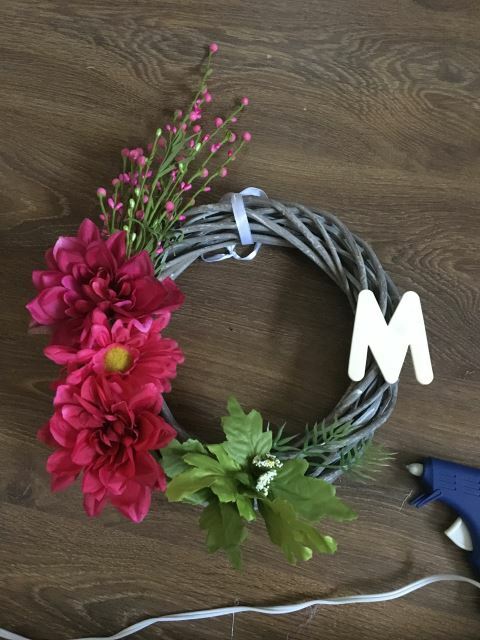 Pull in your own unique style and home décor to customize the wreath to your liking. 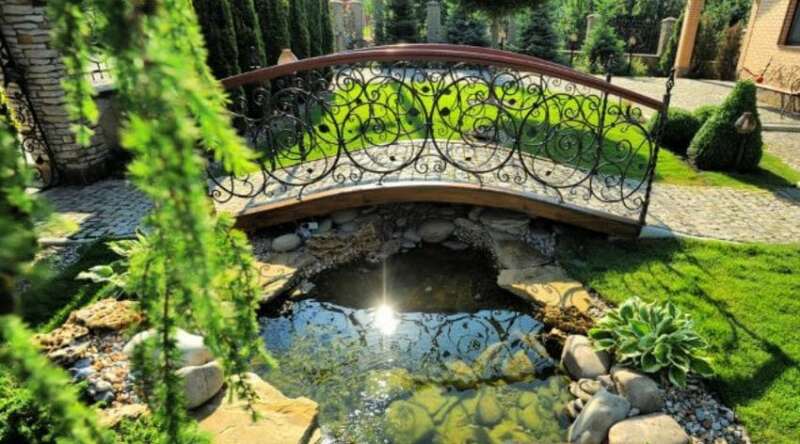 Things such as small flowers, birds, butterflies, birdhouses, etc. 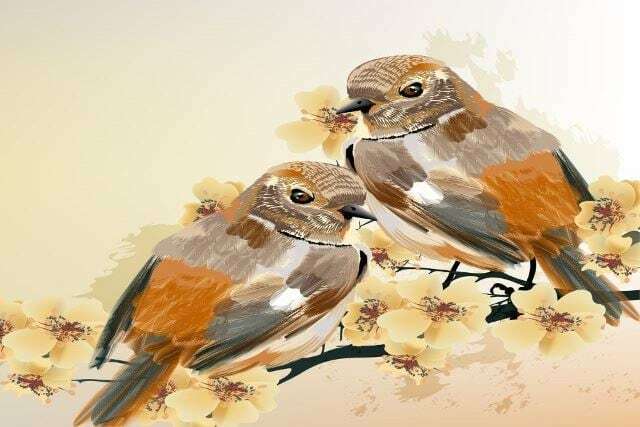 Anything that says, “Springtime.” Myself, I went with a cute little bird, some small leaves and flowers, and a couple of pretty butterflies. You can also play with some glitter, if you’re really brave! If you don’t already have one of these, you can get them just about anywhere. 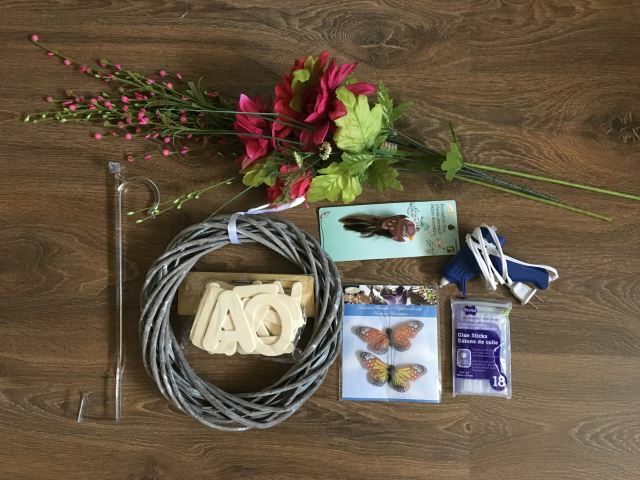 Hardware, craft, or Dollar stores. 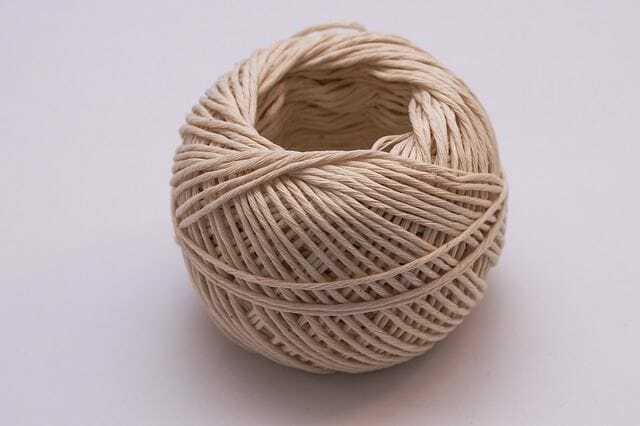 I’ve even seen people make them from wire closet hangers, but that’s a tutorial for another time! You can either cut this out of a thin sheet of wood if you, or someone you know, has the tools. Or you do what I did and just purchase one at the craft store. This let is often the first in your family’s last name. I go by Candace Osmond, but my married name is Majeau, so I have an ‘M’ for this tutorial. This may seem like a waste of time, but it’s really important. Lay out all of your decorative items and play around with them on the bare wreath until you have a pretty good idea of what you want it to look like. Start with the larger items first, spread them out and create a decent sized base for the smaller items. Just keep in mind that it’s going to look strange at this stage because you’re just creating the foundation for the rest of the décor. Now comes the fun part! Heat up that glue gun. Make sure it’s good and hot before using otherwise the glue won’t fully melt and your items will eventually end up falling off. Be careful not to touch the tip, you could seriously burn your skin. Once you’re sure it’s hot, insert a glue stick and begin to adhere the large items like ferns and foliage. This is the background. Begin to layer the large items to create depth and visual interest. 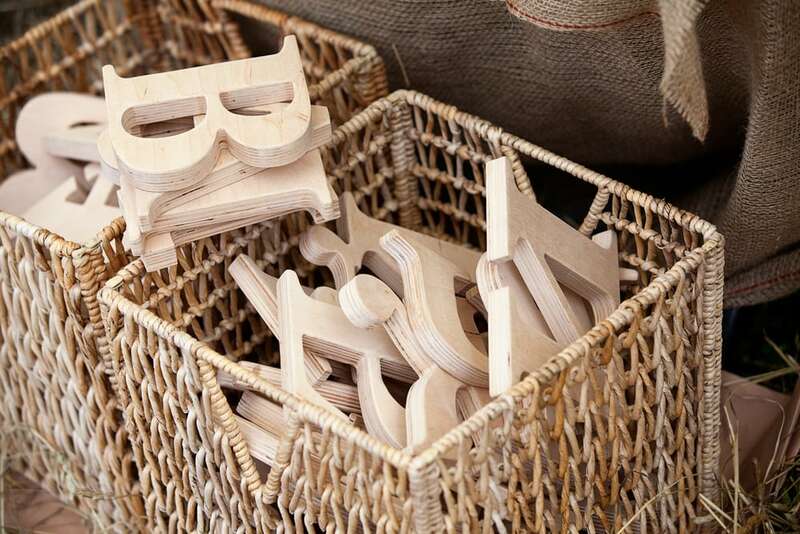 Next, it’s time to add the monogram letter. You can choose to nestle it in with the bulk décor on one side, or you can attach it on the opposite side so it’s more visible. To be honest, you can put it wherever you want or look good. Just make sure it’s good a secure, as it’s most likely heavier than most of the items on your wreath. Fiddle around with the tiny items such as leaves and small flowers. Make sure the petals and everything are in place just so. This is the point where you can add glitter or other things. I’m not a fan of glitter because it’s impossible to clean up. But you can get spray glitter in a bottle that basically works like hairspray. 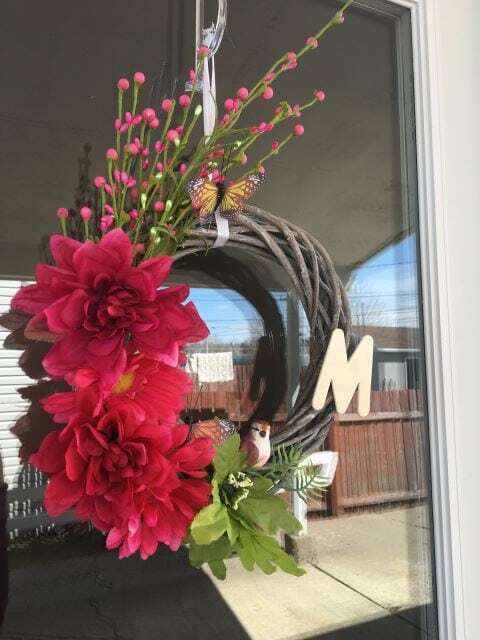 Once you’re sure everything is dry and sturdy, hook your wreath on the hanger and place over the door you wish to display the beautiful springtime creation! And there you have it, folks! It’s as easy as that. No need to run out and spend a small fortune on a fancy pre-made wreath (although, you can if you want, or if you’re not glue gun savvy). 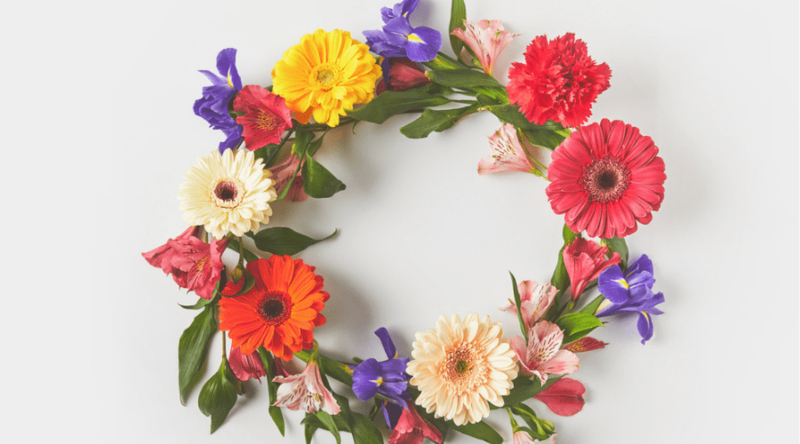 But if you tend to be a do-it-yourself type person, and know your way around a craft store, then you can create some seriously beautiful seasonal décor like this springtime wreath. Try it out! Let us know if this tutorial helped you out. Feel free to comment and share below! 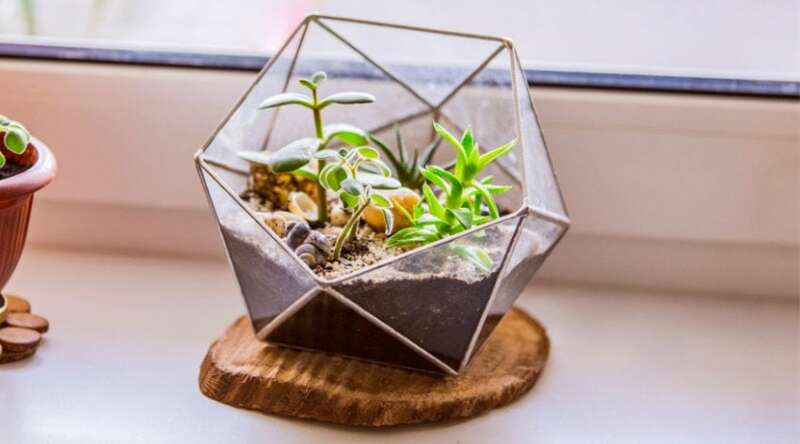 And if you have any other DIY craft ideas for home décor, let us know! 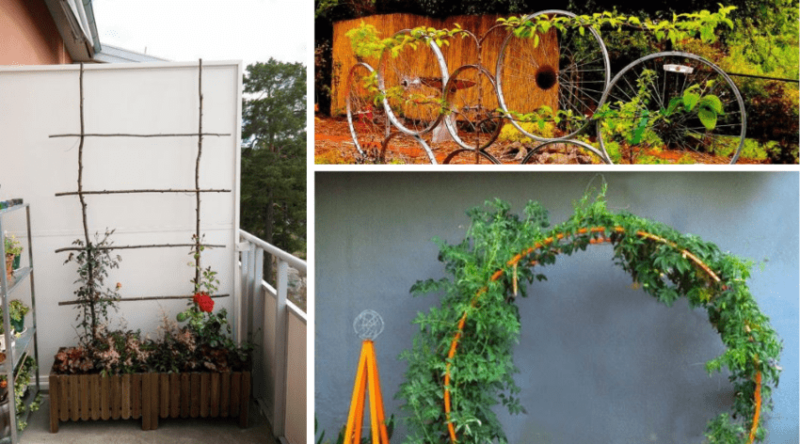 45 Amazing Indoor Garden Ideas: #27 is So Easy! 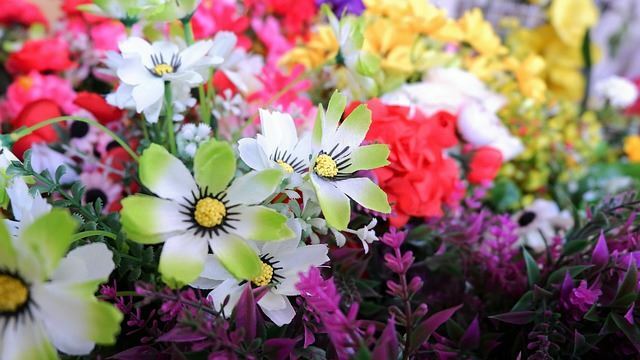 37 of the Best Flower Hedge Ideas: #23 is So Easy!